and return back with a bright smile. While getting dentures in many countries would break the bank, you can get them at a bargain price in Iran. This option gains much popularity as the country offers top quality dental services at par with international standards! 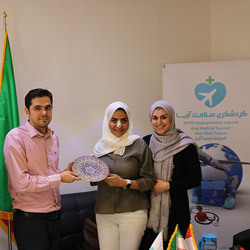 To depict all the details that you should know about dentures in Iran, here we have a closer look into this topic and provide you with the procedure, type of dentures, reasons to get them in this country, the costs involved, and the related issues. If you've lost some, most, or all of your teeth, eating and smiling have surely turned into daunting tasks. However, there's a solution for you: dentures! Dentures are replacements for your missing teeth that can easily be taken out and put back in their place. Isn’t that like magic?! Well, in a way, it is! As removable appliances that can replace your missing teeth and restore your smile, dentures informally called false or artificial teeth, seem to work out magic. One may have lost teeth due to a variety of reasons like gum disease, total decay and/or injury. Whatever the reason, artificial teeth help improve your appearance and health. Nowadays, these teeth are made to look almost exactly like your natural teeth so that your appearance does not alter a lot. 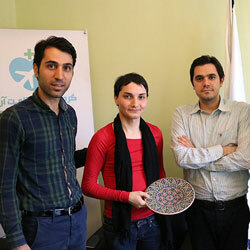 Is Iran a good place for getting dentures? When considering getting dentures in Iran, the question may arise as to why one would come to this country and have their false teeth made here? First, many cities in this country offer dentistry services at the highest possible quality in numerous modern oral health care facilities. 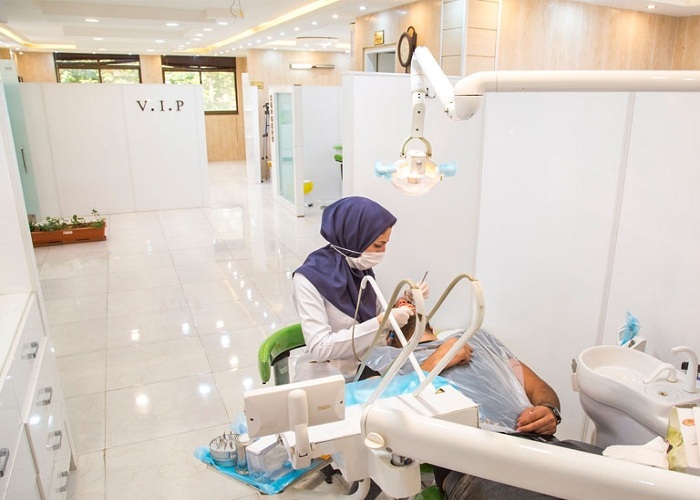 Stepping into Iran's dentistry clinics, you'd be welcomed with professional staff and you'd feel like you've entered a luxury hotel rather than a clinic. Second, professional dentists are something of miracle-workers and that is not us bragging! 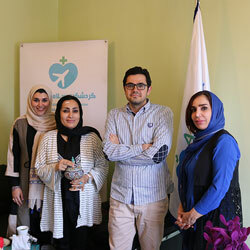 Iranian dentists are licensed practitioners with years of experience. They have dedicated two or more years to advanced training. Most of them are board-certified in various specialties like oral and maxillofacial surgery, prosthodontics, etc. Third, the costs of getting your artificial teeth in Iran are far lower than having the same service done in most other countries. This turns out to be one of the main deciding factors among patients. How is dentures procedure done in Iran? The dentist makes a model of your mouth and prepares your artificial teeth within a few days. You will try your artificial teeth sets on and any required adjustment can be done afterward. Depending on your jaw condition, you may choose a certain type of dentures (full, partial, immediate, etc.). To get your false teeth in Iran, you need to stay a couple of days (10-14 days) in the country. If you're getting immediate dentures, the procedure can be done within a few days. However, if you are not to go with the immediate false teeth, you'd be required to visit the country twice: first for removing your teeth and second for inserting artificial teeth. Another option is to have your teeth removed in your home country and get dentures in Iran once healed. 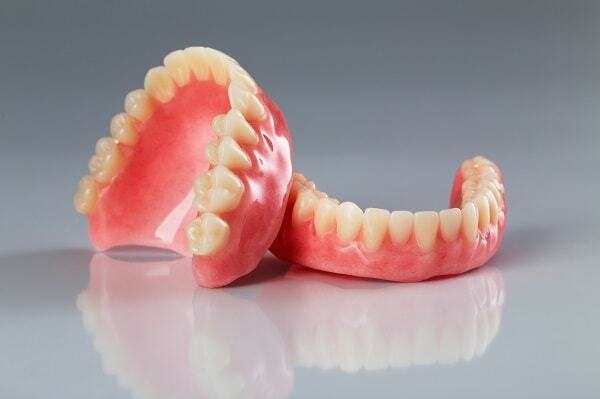 There are four types of dentures that you may wear depending on your condition. These are described below. This is what we call artificial teeth set which is placed in your mouth after all your remaining teeth are extracted and the tissue of your gums is healed. The process of healing can take up to several months. During this time, you would have to cope without any tooth in your mouth. This type of artificial teeth is placed in your mouth immediately after all your teeth are extracted. This is probably one major advantage of this type of false teeth over others. You would need to make a prior visit to your dentist so that he can take the measurements of your jaw and fashion a set of teeth that fit your mouth. Immediate dentures survive you from having to go through any period of “toothlessness”. However, one of their major drawbacks is that they have to be relined several months after insertion. This is because the shape of the bone supporting the teeth changes by the passage of time, leaving the false teeth irritatingly loose in your mouth. In case one has some of their natural teeth preserved in their jaw, partial false teeth can be placed and attached to them. Partial dentures sit next to the remaining teeth to replace the missed ones. Overdentures are those full or partial set of artificial teeth that are supported by the remaining teeth or implants (implant-supported dentures). This type of dentures is of great help for those who wish to have fixed teeth without struggling to keep their dentures secure. Getting dentures in Iran would cost you much lower compared to many other countries. In Iran, dentures for each jaw would cost around $700-$1,000. This service in the United Kingdom amounts to $1500 and more. The same service costs something in the neighborhood of $1800 to $3800 in the United States. Dentures vs. implants: which one is better? Getting dentures has its own advantages and disadvantages, and when it's compared to other options, dental implants may grab your attention. However, the fact is that not everyone can afford implants and not all people can receive them as it does not suit weak jawbones. Dentures are cheaper than implants. They feel as natural as implants when worn. Implants are more durable and can be maintained easily. As they are fixed in your jaw, you won't need to take them off every time you want to clean them. All in all, the decision of getting either dentures or dental implants depends on your budget, your jaw condition, and maybe your lifestyle. How long does it take to get used to false teeth? Experiencing an uncomfortable sensation while eating and speaking is a natural feeling for a person who is a new user of artificial teeth set. One may even feel strange and uncomfortable with false teeth in their mouth for weeks or even months. The muscles of your cheek and tongue must get used to holding false teeth and this might convey a feeling of heaviness in your mouth. Can I get my teeth pulled & dentures on the same day? With getting immediate dentures, it’s possible to have your teeth removed and get your artificial teeth on the same day. You can sleep with false teeth without any specific problem. However, it is recommended to take them off during the night in order to let your jaw relax. Are there any complications for dentures? 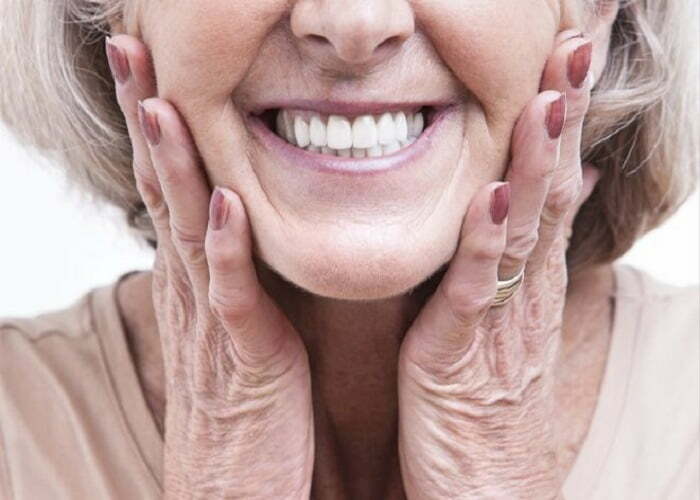 Although dentures are considered as one of the effective solutions to teeth loss, there may occur some complications. They include soreness, swelling, blister, infection, and loss of denture retention. You may also have a sensation of not having enough room in the mouth, excessive flow of saliva to mild or severe irritation. These complications do fade away after a while, or they can be managed in case they are severe.